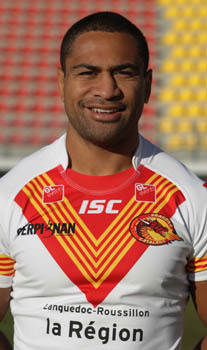 Paea, a prop, turned out 95 times for the Sydney Roosters between 2003 and 2010, scoring three tries. He signed for the Dragons in 2011, quickly establishing himself as a key member of the Catalan pack, and very much an on field leader. Known for his agile feet and pace, impressive considering Lopini’s hefty physique, can baffle defences all across Super League. In terms of international run outs for the Tongan, he has three caps under his belt, however yet to score a try.